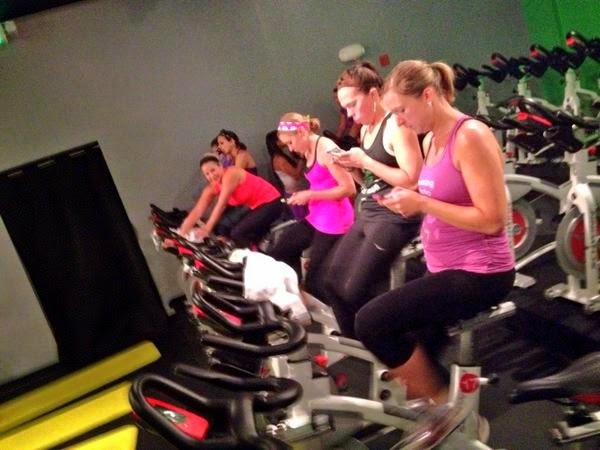 Clearly I've talked about Baltimore's Rev Cycle Studio before and how much their spin classes rock. Sadly after my class package ran out I hadn't been back in months, until I was invited a couple of weeks ago to #SpinSweatSip , a meetup of sorts for some of Baltimore's social influencers. Thanks to Annie for thinking of me! The evening started off with us taking a shortened 45-minute REV60 Blast class taught by REV instructor Jami. The class is usually 60 minutes and combines 30 minutes of cycling with 30 minutes of interval riding paired with boot camp exercises off the bike for a full body strength & cardio workout! Before class started you could totally tell we were a bunch of social media people because everybody was on their phones! I had never taken a hybrid cycling class before so it was a unique experience to take REV60 Blast and my first class with the amazing Jami, who plays awesome music and definitely knows the way to motivate you to push yourself to get the most out of the class. I liked the 20 minute cycling portion in the beginning of the class and found it hard to get back in the zone during the 20 minute blast portion when I jumped off the bike to do strength exercises and then hopped back on for more intervals. Nevertheless, I liked getting a full-body workout experience all in one class! This summer I've been telling people how excited I am to go out to Seattle & Portland and have heard multiple times "oh that's for some running thing, right?". YES. Some running thing with that hydration company I love and promote. Some running thing a.k.a. the largest relay in the world, nbd. With the increased popularity of series such as Ragnar, runners have become more familiar with relay races. I didn't know too much about Hood to Coast before I was officially running, besides that it was big, awesome, and on the west coast. That's all still true, but I thought I'd fill you in on more facts about the race since I'll be talking about it a lot in the upcoming weeks. I've been crazy excited because the relay is less than 30 days away! 1. Hood to Coast is a 200 mile (technically 199!) "mother of all relays" race that began in 1982 with only 8 teams and has grown with this year's relay race having 1,050 teams! 2. 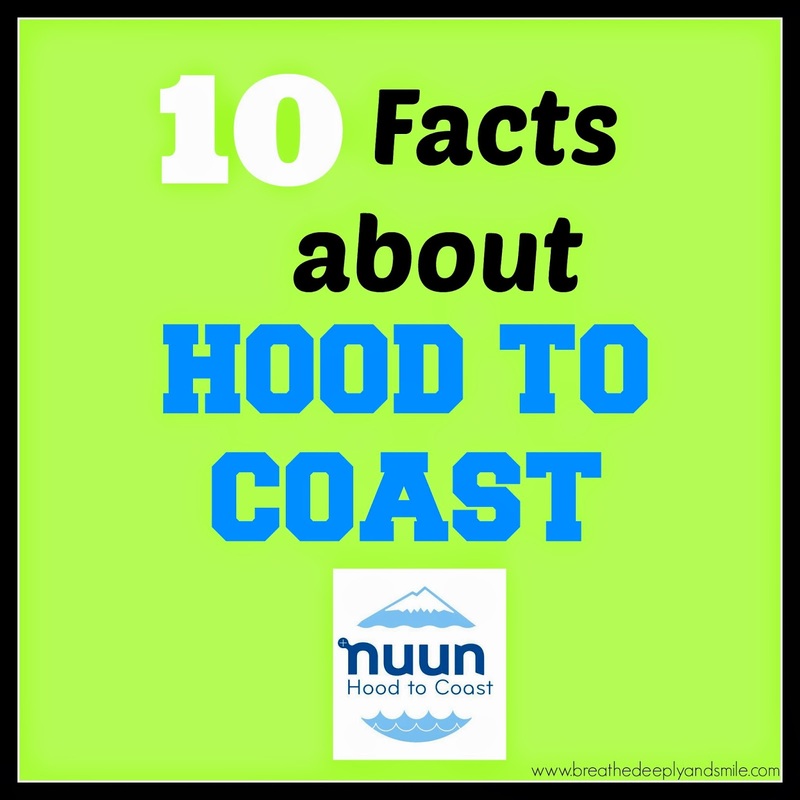 Hood to Coast (HTC) is the largest relay IN THE WORLD with a capped team limit for the past 22 years. They've filled the team cap on registration's opening day for the past 16 years straight! 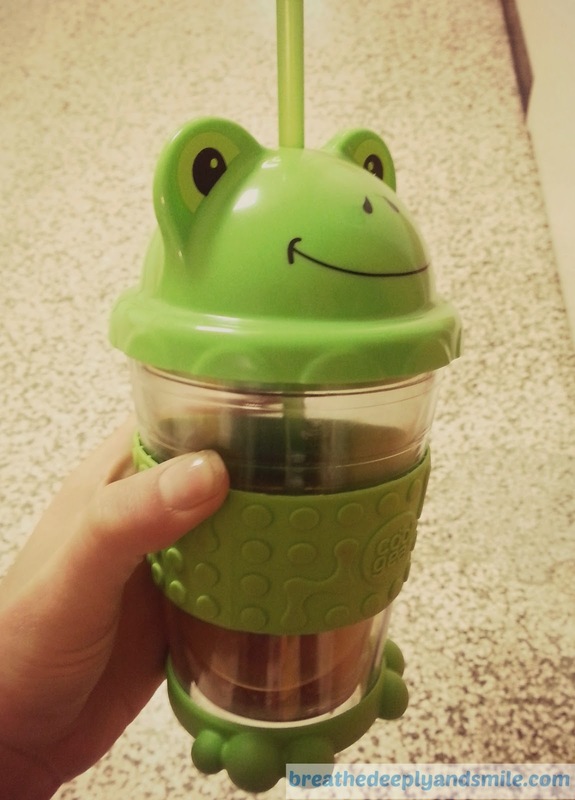 Very Inspired Blogger Award + Froyo and Delta Labs Green Tea + Flash Giveaway! 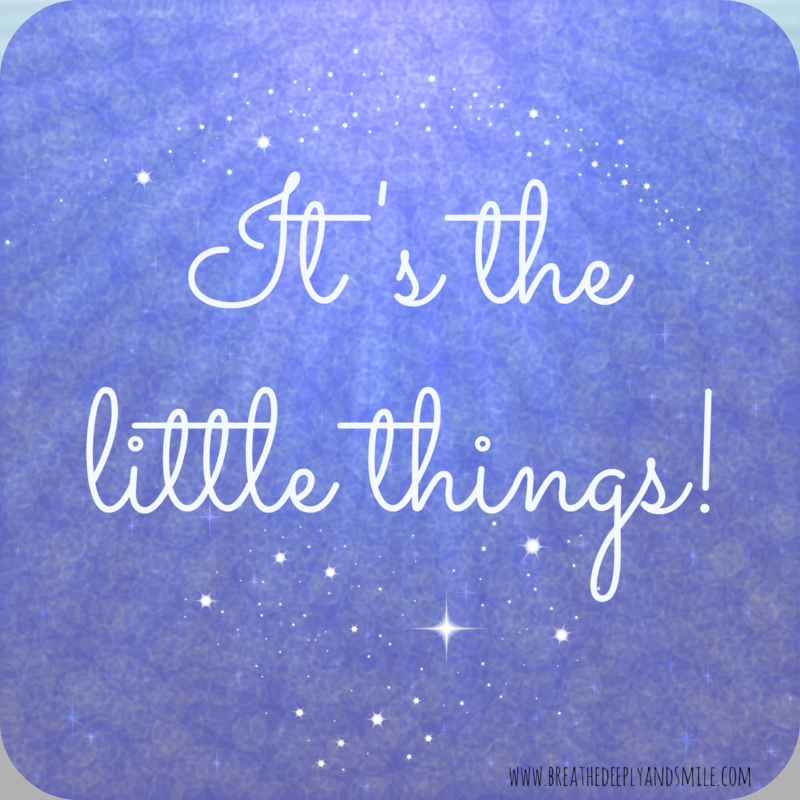 Did you see my Chi Marathon training update yesterday? 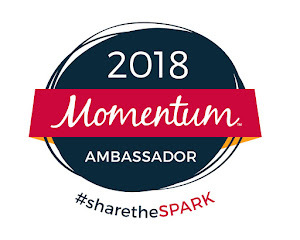 Recently I was nominated for the Very Inspiring Blogger Award by Sweaty Mess Mama which is amazing. I didn't know she was a reader of mine, and I'm glad to hear she thinks I'm inspiring! Sometimes I forget that more than 5 people sometimes read this blog! 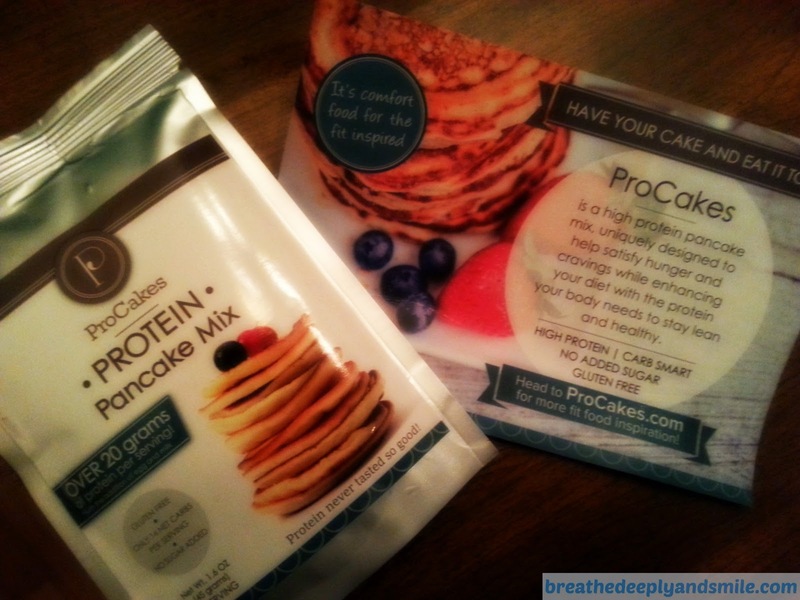 I love pancakes and waffles. Breakfast for dinner is always acceptable. I'm a huge Francophile and was a French minor in college. I don't really own matching workout/running clothes. I should buy some more matching outfits. I'm easily scared and pretty jumpy. Yeah, not a fan of scary movies. My feet are always cold-I usually need to sleep with socks! Life has been busy with summer travelling, bridal showers, and family time so I'm recapping marathon training weeks 4 & 5 today. Training has been going pretty smoothly-so far so good! Long run: Week 4 had a long run of 14 miles, and week 5 was 16 miles (more on that below!). Once I'm starting to run longer than a half marathon each weekend I know that training is getting serious! I ran the 14 miles with my friends from my training group along the latter part of the Baltimore Marathon course. It was the first time I had run that part of the course since the marathon. I remembered how awful I felt at that point of the race as I was running around Lake Montebello, and how I thought I might not make it to the finish! Definitely something to think about as I continue training for #2! The weather ended up being warmer than I expected therefore my friends and I were definitely in need of more water than we had brought with us. I think I'll reluctantly start using my fuel belt with the two mini water bottles again instead of just my little handheld bottle. Weekly runs: My training group did some speed work during week 4 and then some hill repeats in week 5. I ended up doing the hill workout by myself last week because I was running late after work and am pleased to say it didn't feel too hard. I managed to get in my hill workout right before a storm hit the city so I was really motivated to get up those hills fast and get home! 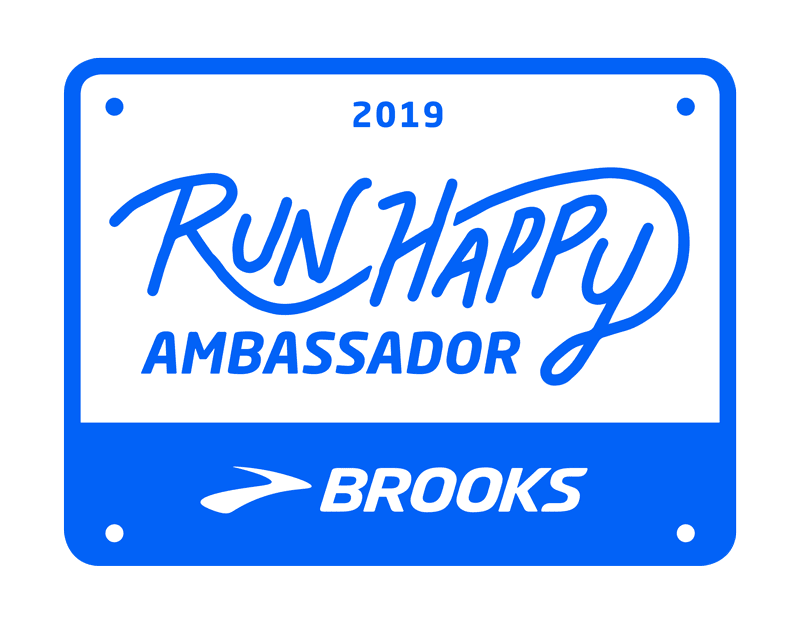 I'm featured on Sara's blog as part of her Bloggers on the Run series so check out my interview to find out more about me, my blog, and my favorite race distance! As a young runner lady who runs around the bad streets of Baltimore (they're actually not that bad), I like having my cell phone with me. Even if I'm not listening to music, I'd rather take the gamble of bringing an expensive phone along so I have the option to call somebody if something happened to me or I got stuck somewhere. Or if I take an embarrassing spill miles away from home, you know, because that has never happened. Sadly, I hate running with my phone. I have a fabulous but huge Samsung Galaxy phone that isn't easy to take along. I have a little fanny pack belt and an arm pocket, but it's still annoying with such a big and heavy phone. It's bouncing around or weighing down my arm as I'm trying to get my run on. No bueno. This is where the Fit Plus Wear Sound Solutions Capris come in. I was offered a pair to review and since I always give my honest opinions spoiler alert: these are AWESOME. 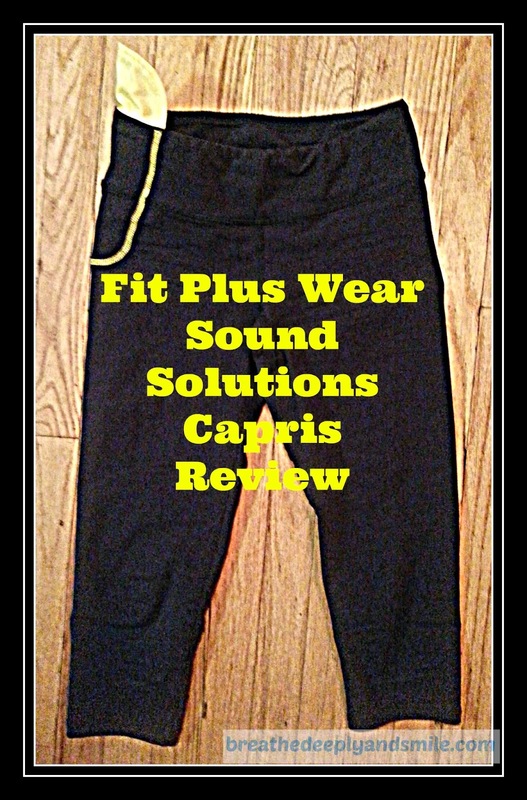 Disclaimer: I was given 1 pair of Fit Plus Wear Sound Solutions Capris to review from Fit Plus Wear on my blog. I received no other compensation for this post. All thoughts and opinions are my own, as always. Long run: This week was a shorter long run (oxymoron?) of 8 miles. I stuck to my routine and tried to keep it at a slow, usual long run pace. I was pretty tired before the run, but we kept it easy by sticking to the nice, flat route around the Inner Harbor along the water. 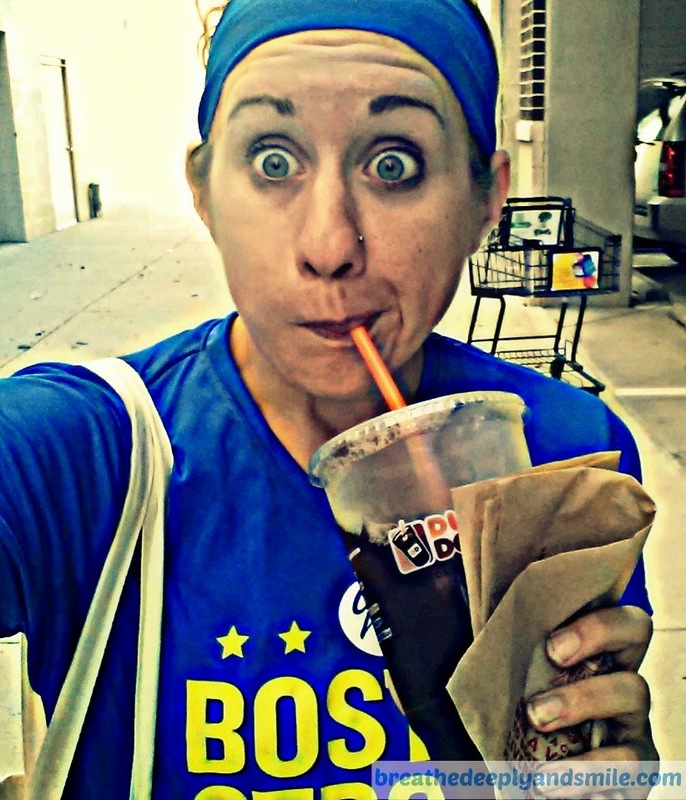 After the run was over I grabbed a large coconut flavored iced coffee from Dunkin Donuts. Iced coffee is pretty much the best after a hot & sweaty morning run. Well I was going to have a marathon training update for you today but an unplanned afternoon yesterday plus my body sleeping in way too late this morning means it's pushed back to tomorrow. Must mean I need to move up my bedtime! Today I'm sharing some links of blog posts and shout-outs of mine around the interwebs for you to check out and share! A few weeks ago I was featured on fellow co-host and fellow Fitblogger Adam Bates' Lifestyle Accountability Podcast here. I talk about starting out as a runner, training, healthy living tips, and motivation. I've listened to a bunch of the podcasts of fellow bloggers and they are all great so browse through other episodes while you're there! I participated in a guest post here for the What's In Your Bag? series on Your Fit Trip. I talk about what I packed in my carry-on when I traveled down to Savannah for the Fitbloggin' conference. See what I packed to stay healthy and some things I wish I would have brought! 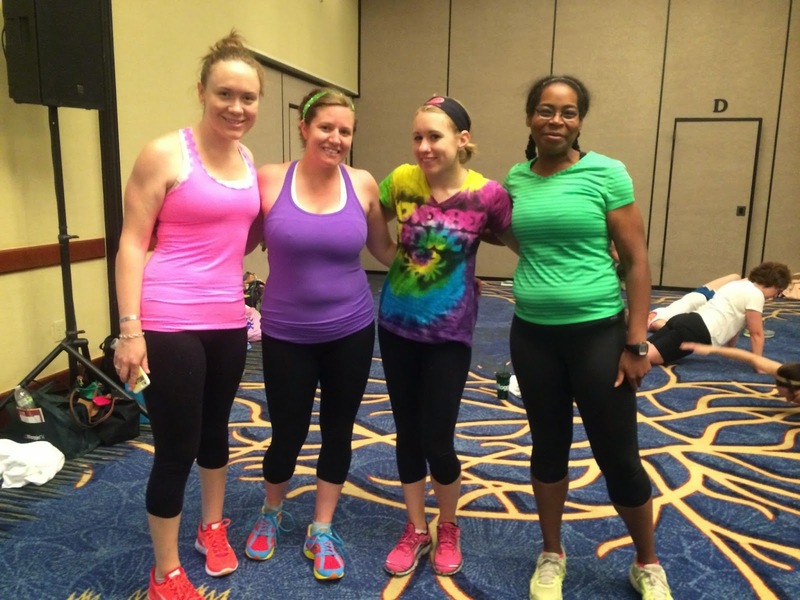 I've been trying to figure out how to do a proper recap of Fitbloggin' 2014. I could do a day by day, but if you really want that you could just check out the schedule. 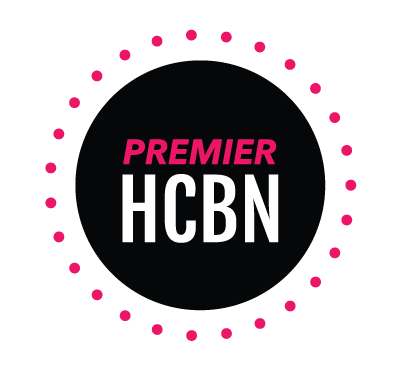 Fitbloggin' was an amazing personal experience for me, and something that definitely pushed me out of my comfort zone. I flew alone to a conference in a city I've never been, with no friends or anyone I knew personally there, and roomed with three other blogger ladies I've never met before (who were awesome!). I could make this multiple posts but decided to just highlight 14 of my favorite things or experiences from Fitbloggin' 2014 with a bit of a photo dump! It's going to be a long one and sadly it's not even 1/4 of my photos! 1. Making friends during a Crossfit-style workout led by Andrea I was excited to do this WOD since I'm a part-time Crossfitter. 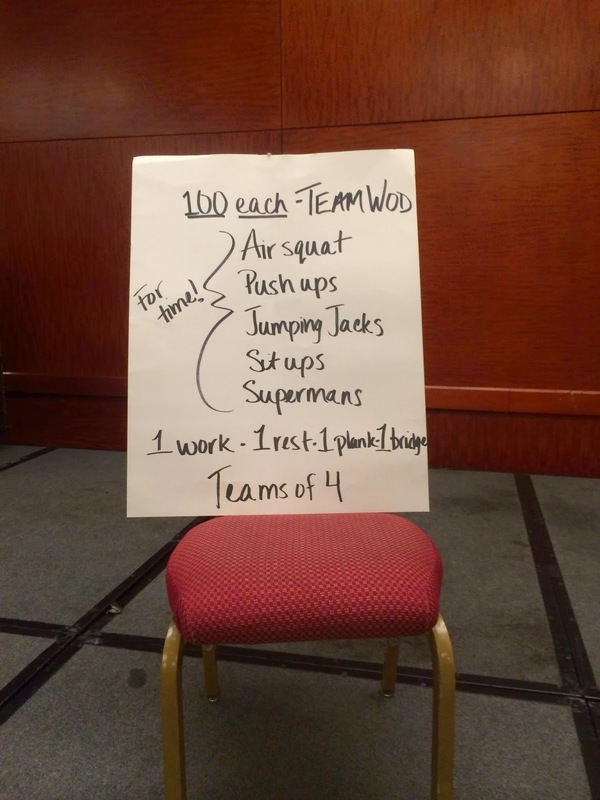 It wasn't too hard for me, but I loved doing a team WOD with ladies who never tried Crossfit before. We actually ended up becoming conference friends after the workout. Sweating together =friendship, people. Thanks to Angela for the photos! 2. Savannah parks/squares I spent most of Sunday walking around to all the different squares in Savannah and had a fabulous afternoon alone. The moss in the trees is gorgeous, and I loved the little pristine slices of nature tucked into the city. Here we go again-training to conquer 26.2 miles. The 2014 Chicago Marathon is only 101 days away. Say what?! 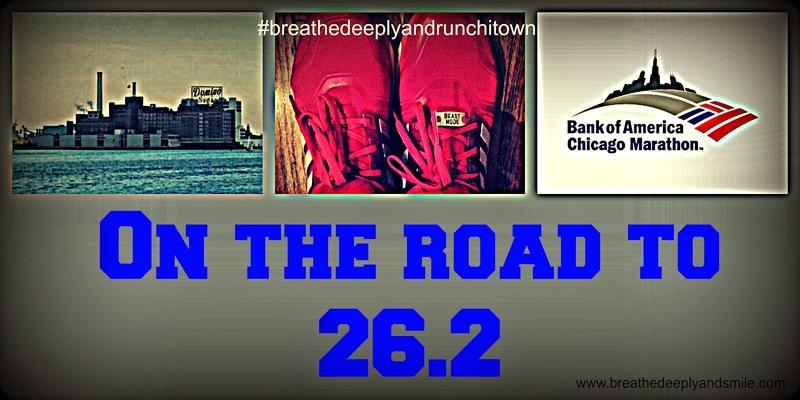 Yes, I'm starting my own hashtag #breathedeeplyandrunchitown. I will need a lot of deep breathes and smiles to make it through another cycle of summer marathon training. Since I've already made it through one marathon I should be feeling older and wiser, right? Not really. I think the pressure is on more this year because even though I had goals (which I met!) last year, just finishing was an accomplishment. Now I'm looking to shave ten minutes off last year's time. Of course, this is all self-imposed pressure. Of course. 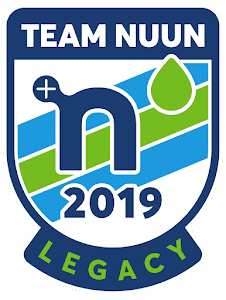 I'm looking at eventually getting that shiny BQ (Boston Qualifying) time. Right now I'm trying to run another strong marathon except in a city I've never visited. 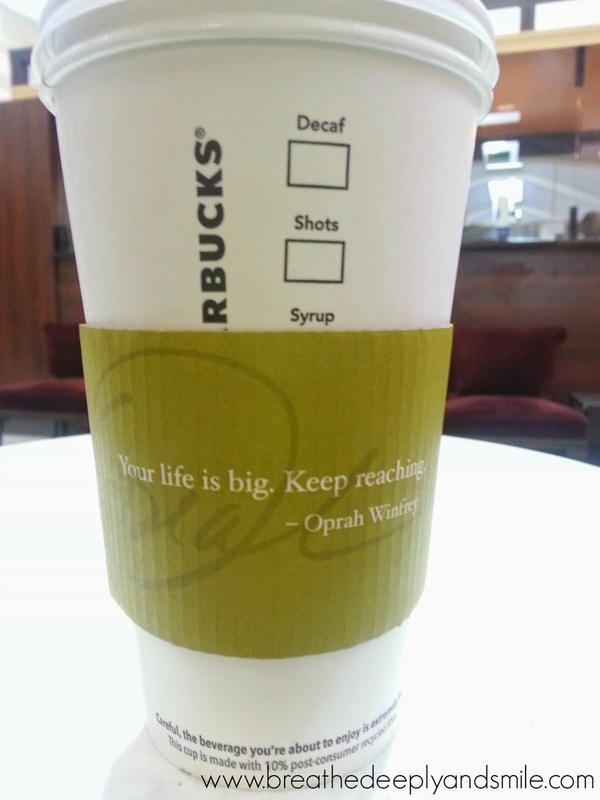 Big goals set you up for big accomplishments, right?